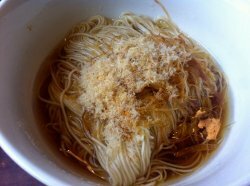 This poached la mian tastes good with the fragrance of the onion and compliments well with the light soya sauce added into it. However, it's abit plain as there are no more other ingredient besides onion. 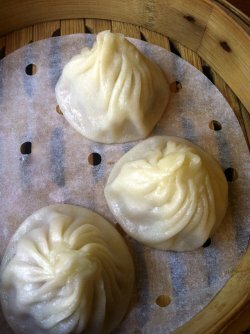 The skin of their Xiao Long Bao is a little thin such that it breaks easily when being taken up from the steamed basket, though it tastes good enough. 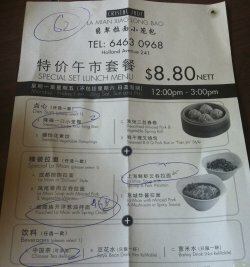 Lunch Set Menu - Dim Sum + Noodle + Beverage = $8.80 nett. Overall, this lunch is quite value for money at a price of only $8.80. However, the environment is quite noisy during lunch time and it's like dining in a high class food court. On a second thought, what's there more to ask for when it cost only $8.80 for a 3 course set lunch?